I wanted to do a quick post to let you guys know about a special offer I received from Jim Cockrum, creator of the Proven Amazon Course. If you’re not familiar, PAC is one of the main training programs that I recommend for anyone interested in selling on Amazon. Here is my prior post on the topic. Additionally, the course also has a ton of material for selling on eBay and selling online in general. They are constantly adding in new content to the program, to keep everyone abreast of the latest changes and to provide the latest methods for achieving success as an online seller. 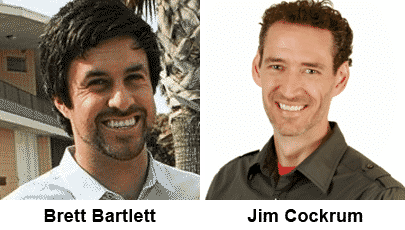 One of Jim’s most successful students, Brett Bartlett, is joining forces and becoming his new content creation partner for the Proven Amazon Course. Brett went from selling $400 in products his first year, to having an 8 figure online selling business. If you already have the Proven Amazon Course, you probably know the name, because Brett created some of the recent content like the Power Brand System, for how to get started Private Labeling your own products for sale on Amazon. At the same time though, Brett had previously competed with Jim, offering additional products that stood alone outside the Proven Amazon Course. So now that they’ve become official partners, Brett has put aside all his side projects and will be focusing 100% on creating content for the Proven Amazon Course. That is a huge deal, because Brett is really on the cutting edge when it comes to selling products on Amazon and he will be bringing his entire wealth of knowledge to share 100% with PAC customers. 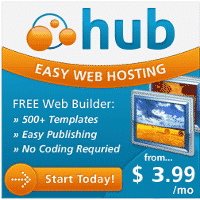 “Our goal (with the partnership) is to keep you on the cutting edge and ahead of the crowd. We’ll be combining our creative resources and our teams into a fully cooperative organization that serves YOU. You can expect world class creative content and training of the sort that’s only possible when a true partnership forms between proven leaders. Our only goal in this alliance is to better serve YOU as an online entrepreneur. Your success is the only metric we’ll use to measure our own. That will show you some of the types of content you could expect to see inside the Proven Amazon Course. They also also included a few separate videos from Brett & Jim on how Brett went from nothing to having over 9+ different streams of income and also how Brett won a $5,000 bet on Jim’s blog. 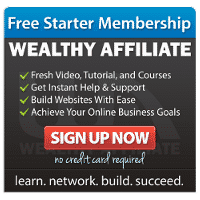 Even if you hadn’t thought about the idea of selling products online, it would be worth while to check out the free special offer while it lasts and also to check out the videos from Brett himself, on how he went from nothing to becoming an 8 figure selling success. This is some great info for anyone that is looking to create a lifestyle business, with the ability to work from anywhere in the world, selling products on Amazon.